As a winter storm bears down on the area the Limerick Fire Department would like to remind you of a problem the snow can create and how you can help us out. 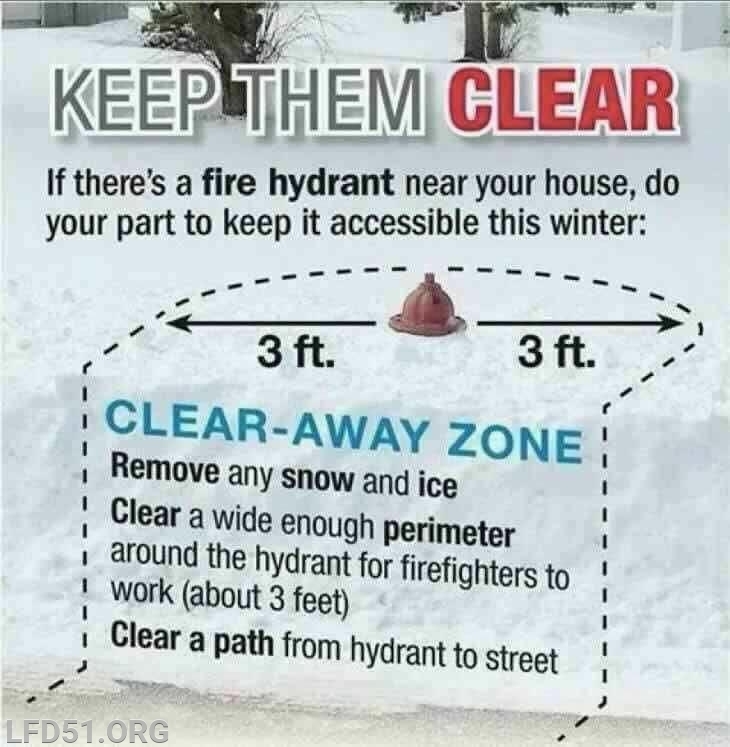 If you have a fire hydrant on your block, please make sure the snow is cleared for 3 feet in all directions around the hydrant and it is cleared all the way to the ground. You may think it only takes 3 to 5 minutes to clear the snow around the hydrant but the time and effort spent clearing that hydrant when there is a fire could be the difference between saving a life or the property involved. Get together with your neighbors and make it a neighborhood project.